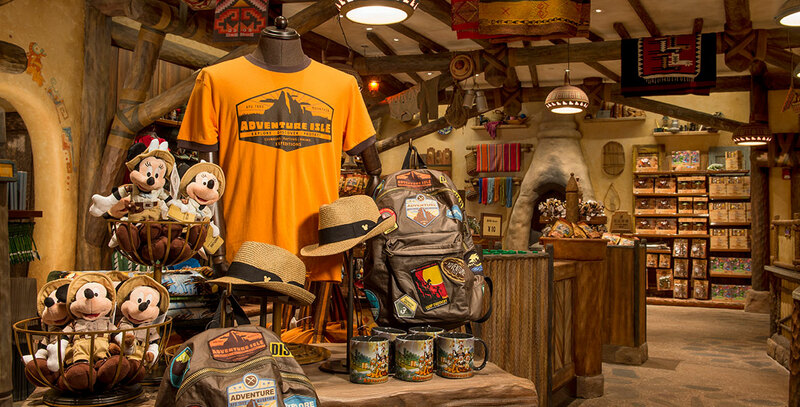 Laughing Monkey Traders Shop in Adventure Isle at Shanghai Disneyland; opened June 16, 2016. The shop is themed as a general store, once a textile dye workshop. Apparel, toys, and souvenirs are sold.